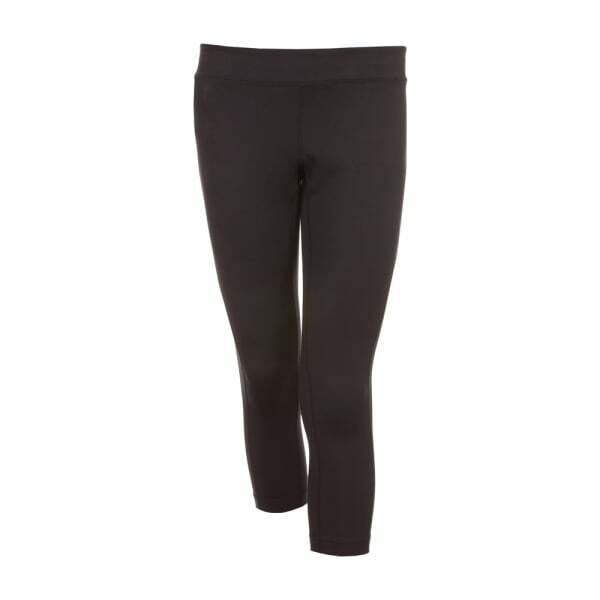 Canterbury’s range of technical sports apparel offers cutting-edge fabric technologies with incredible comfort and style, and the Women’s Elite 3/4 Tight is a great example. Featuring Canterbury’s unique Vapodri thermoregulation technology, these pull-on, highly breathable tights ensure you stay drier and more comfortable for longer, by boosting the evaporation of sweat and regulating body temperature. A grown-on flat elasticated waist delivers outstanding fit, so you’ll look great whether you’re at the gym or training on field with the team. For added convenience, the tights come with an internal fob pocket, so you can keep valuables close at hand. With their distinctive silver reflective CCC lower transfix, these tights lend immediate authenticity and group you with the large tradition of Canterbury clothing.